When I moved to Frisco, TX almost five years ago, I wasn’t quite sure what to expect on a personal level. I knew it had great schools, so that appealed to my maternal need to give my kids “the best.” It has a pretty good city plan, as far as suburbs go. And we found a good little house in a nice neighborhood at a great price. Plus, it had a studio for me! But I wondered what would be in store for me career wise– you know, artistically. At the time, I was doing a lot of decorative painting, which included murals and faux finishes, and Frisco was (and still is) one of the fastest-growing cities in the US. There were lots of possibilities for those kinds of jobs here. I kept pretty busy. On the side, I was making my art when I could, and I was eager to meet other artists. I was hoping that the art scene reflected the progressive attitude I saw in the rest of the city. 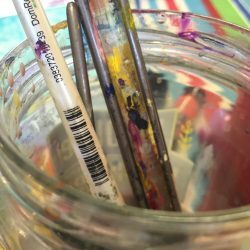 I joined the local art guild, and soon started meeting some great artists — many artists around my age who were making some really great work. It really inspired me to keep making more art and to keep showing it. Over the past couple of years, the art guild has grown into a really cool group (www.vagf.org), and it looks like the rest of the city is catching up. 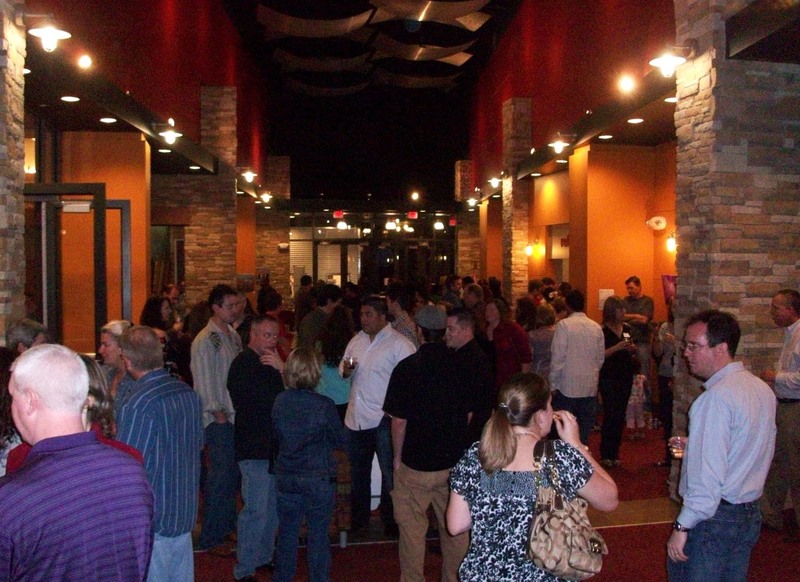 This past weekend, we hosted the reception for our first show of 2011, “Resolutions,” to a crowd of well over 100 people. We had a great time hanging out at the new Discovery Center– Frisco’s new visual and performing arts venue. Awards were given, artwork was sold, new connections were made. I had several conversations with other Friscoans (non-artists) that had been longing for art events to attend within the city limits. They could actually have a classy date-night right here in town. The previous weekend, thegallery8680 held their first opening of the year, and I am privileged to be a part of that show. Director Robyn Parker Feehan is the visionary behind thegallery8680; she started the space last year to promote contemporary artists in the region. This show, “Celebrating Women Artists” includes photography, drawing, painting and mixed media works from nine female artists from Texas. The reception was a great success, again with over 100 people in attendance. More proof that Frisco is becoming a hot spot for the visual arts in North Texas! I really believe that moving to Frisco was the right move for me as an artist. We’ve got a core group of artists who are working to create an active arts community. It’s still in the formative stage, but we’re definitely headed in the right direction. It will be interesting to see what the next few years bring. The “Resolutions” VAGF Member Show will be on display at Frisco Discovery Center through Saturday, February 26. Frisco Discovery Center is located at 8004 N. Dallas Parkway, Frisco 75034. Hours are M-F 10-5, Sat. 10-6 and Sun. noon-6pm. Admission is free. Information on the Visual Arts Guild of Frisco can be found at www.vagf.org. 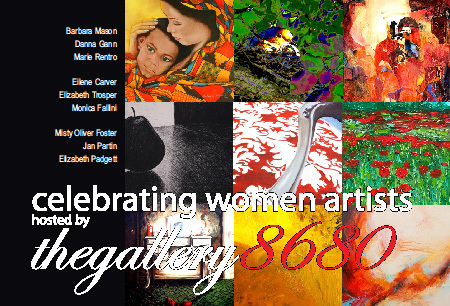 “Celebrating Women Artists” runs through March 12 at thegallery8680, located at 8680 Main Street, Frisco 75034. There will be a daytime reception/luncheon on Wednesday, March 9, from 11:30am – 3:00pm. Visit thegallery8680 blog at www.thegallery8680.blogspot.com. Call Robyn for an appointment to see the artwork at 214.585.8175.